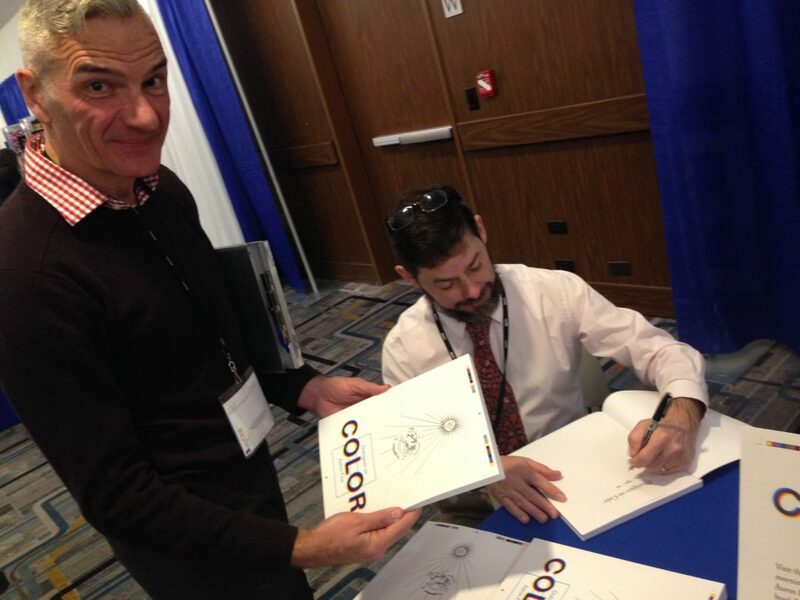 In addition to Dr. DeLancey’s research, Professor Aaron Fine’s publisher held a book signing to celebrate his newly released volume on color theory. Here is a photograph provided to us by Dr. DeLancey, with Dr. Cole Woodcox showing off his new copy of the book. Congratulations again to Professor Fine!